Students often ask me when to use rubato so here’s a piece of advice: not too often! Pulse is an essential element to the majority of music we play, therefore, don’t obscure the rhythmic element of pulse with unnecessary amounts of rubato. However, it all depends on context. What music are you playing and what era and composer are you interpreting? We might generalize that all music has some rubato to keep it sounding human and non-robotic. However, we might also generalize that some eras or composers benefit more from rubato compared to others. Rubato, or tempo rubato (It.). Robbed time. A feature of performance in which strict time is for a while disregarded – what is ‘robbed’ from some note or notes being ‘paid back’ later. When this is done with genuine artistry and instinctive musical sensibility, the effect is to impart an admirable sense of freedom and spontaneity. Done badly, rubato merely becomes mechanical. The question of rubato in Chopin is particularly contentious, since its use in his music may be dangerously open to abuse. Accounts of his playing (and of Mozart’s) suggest that he kept the left-hand in strict time and added rubato with his right. I would also add that rubato is a tool used for musical expression. However, as with other expressive tools such articulation, dynamics, and ornamentation, the structure and basic elements of the composition should not change. You should be able to justify your choices, don’t just use rubato ‘all over’ a piece. I like to use the analogy of the Christmas Tree. Think of the tree as the structure and basic elements of a composition. Now, all the lights, ornaments, and presents add interest to the tree but they do not change the structure or fact that it is still a tree. Rubato is like the ornaments, it helps add interest but does not burn the tree down during a family fit! There is a misconception that rubato fights the pulse rather than works with it. Unless you’re playing a cadenza or at liberty section (these are more often though of as being played with freedom or liberty rather than rubato) then I would avoid the divorce of pulse and rubato. Keep the pulse going internally most of the time, especially if you’re in the middle of a phrase. Let’s further this definition by ruling out some confusing parallels. 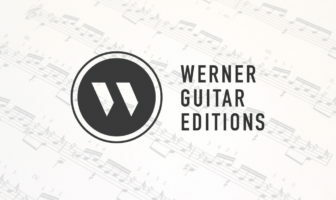 be used to compensate for technical difficulty or poor musicianship skills (although it can be used to help technique if musically appropriate. 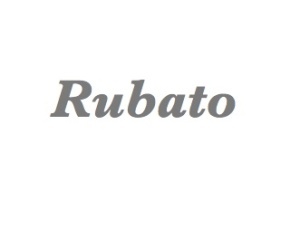 How often should we use rubato? That really depends, certain styles and time periods treat rubato in different ways. As always you should listen to many recordings and performances of the composer and period you are studying. Try to absorb the style. When in doubt, use it moderately. Let’s listen to some rubato with this classic work, Recuerdos de la Alhambra by Francisco Tárrega played by Ana Vidovic. The score shows thirty-second notes with no variation or different rhythms. The score looks technical, robotic, strict, and sterile. So all the “push and pull” and swaying to the music is interpretative by Vidovic. This is very appropriate in this Romantic era work. IThanks for this information although I have to say showing virtuosic pieces like this doesn’t help unless you’re an advanced player.If I could see the technique applied to Grade2 or 3 piece it would be the first step in developing my use of it.